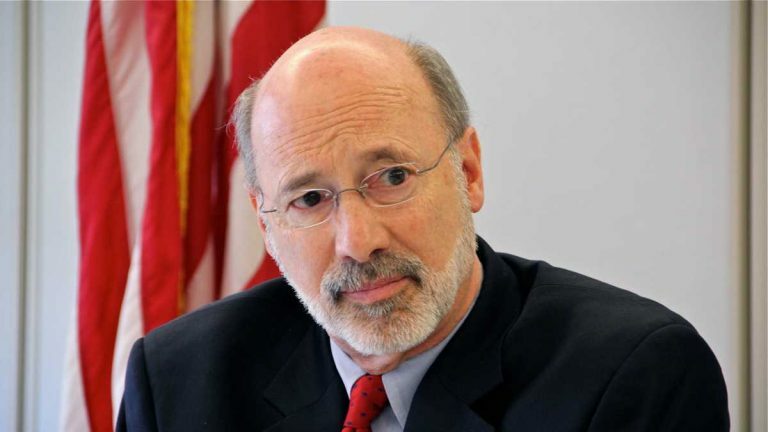 At a news conference later in the day, Wolf said that was “a poor choice of words” and that he’s still “grappling” with what the Constitution means. The Senate is considering whether to launch a formal process to remove Kane, who continues to run her office with a suspended law license while fighting charges she leaked confidential information. Kane said she’s done nothing wrong. A Senate committee voted 5-2 last week to move forward with the removal process for Kane in light of her suspended law license. Kane has said she will fight the move, which she considers to be unconstitutional. Wolf has called on the attorney general to resign since August, when she was charged with perjury and other criminal counts, but Kane has said she will fight the charges without stepping down. WHYY’s Mary Wilson contributed to this report.